Interior Designers Resources : Where Do Interior Designers Shop? One of the first places we go to shop and find ideas is Pinterest. All those beautiful rooms and vignettes you see on Pinterest and in magazines are great for inspiration, but how do you cut through the noise and create a wonderful space for your client or your own space and dream home? I have an Amazon Shop here. dvd Interior Design’s Amazon Shop with collections in Gifts, Home Decor and more for you to view. As an Interior Designer, I do offer some of my best interior design secrets, products, hotspots, and more that I am coveting on my Shop Page. This is a constantly evolving product resource for you to see of some of my favorite items on the market and in my clients homes. But a Comprehensive Interior Designer Resources to help you to be frugal as well as efficient? The only guide I really recommend for the new designer as well as the experienced designer looking to improve their sourcing game is ……..“Laurel’s Rolodex” . This resource shows you how the pros source products. Interior Designer, Laurel Bern goes in depth (400 pages) on the resources for furniture, hardware,lighting, architectural moldings and more. This a tremendous resource catalogue that she has compiled after 25+ years in the industry. You must add these resources, tips and vendors to your contacts before styling or purchasing for your next renovation project . Even I, a 25+ year veteran interior designer, was surprised by the depth of resources and that I discovered new ones that had not known, and that was in just in the first chapter! Over 400 pages, to the trade and as well as online retailers with the best offerings. You do not have to be a trade designer for all the listings. Laurel has categorized everything in an easy to find manner. She has also categorized by price point, making it easy to navigate based on your budget, needs and trade access. Why Are You Still Throwing Money Away On Furniture? -Check it out. Word on the street is that this is AWESOME! It's a unique very detailed catalog for hundreds of vendors and manufacturers both retail And wholesale. Laurel shares her faves and the 38 sources she can't live without! Where do interior designers shop for the best products and the best pricing for their clients? 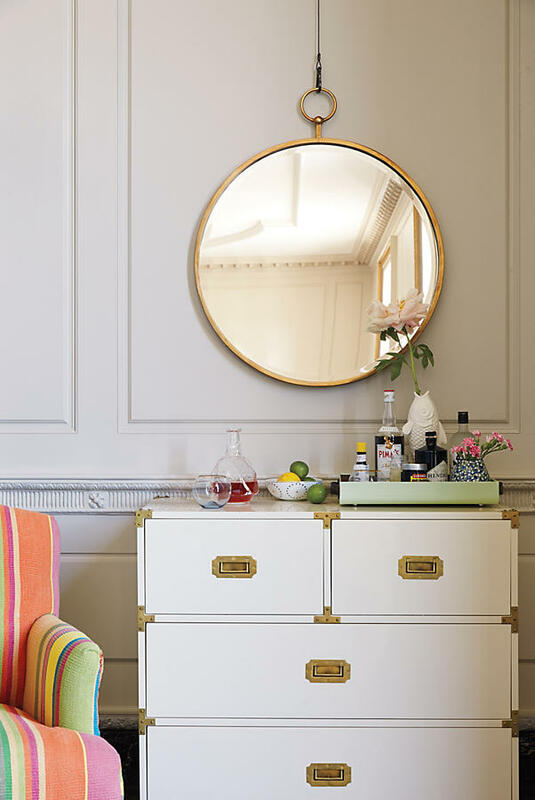 This is a coveted list and a special Designer Rolodex vetted and curated by NY based designer, Laurel Bern. She has compiled her trusted list of the best quality and pricing from professional and reliable vendors. Looking for More Information on Selecting Furniture? Then “Laurel’sRolodex” is for you. This valuable guide is a collection of the best resources written by NY Interior Designer, Laurel Bern. This is a collection of her most popular resources, and tried and true quality vendors, with all kinds of purchasing scenarios. Professional advice to help you choose the perfect shopping resources for your home! 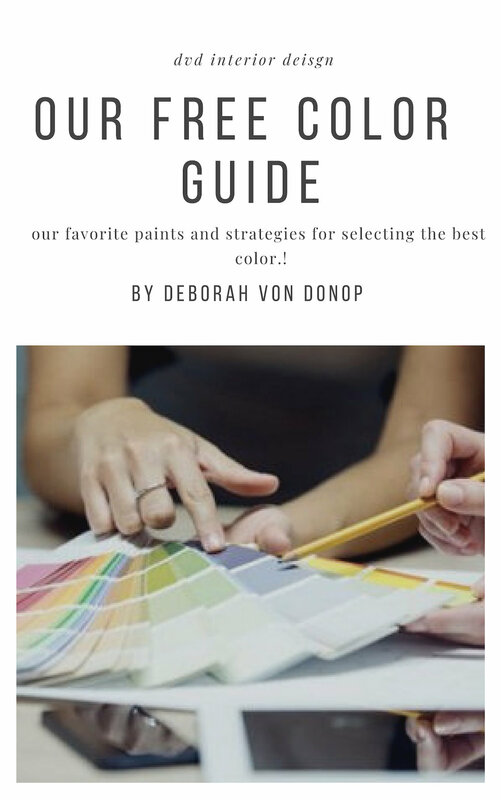 This guide is designed to help both interior designers and homeowners in making informed decisions, and avoiding the poor quality products that often occur when you don’t know who you are purchasing from. Learn from the master. 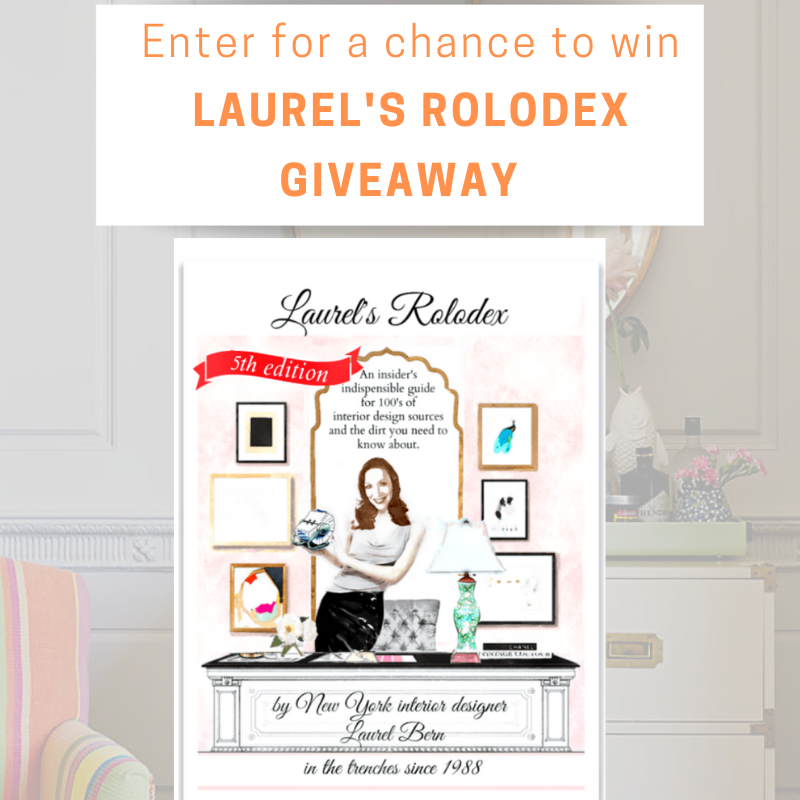 To see what other in depth products Laurel has to offer in addition to both her invaluable Rolodex & her Paint Palette and Home Furnishings Collection – click here. Here it is, the dos and don’t of selecting online resources for you design business. This great go-to guide for all your purchases and is our latest giveaway to you, our readers! this downloadable PDF is available in our shop as a download, but today we are offering to (1) lucky reader a $229.00 Guide for FREE in this months GIVEAWAY SERIES! Trust me. You will learn SO MUCH from this guide. They go into the nitty gritty of the differences between upholstery construction in a way that I’ve never read or seen anywhere else online.